Ex-demo Bonfiglioli Squalo 1000 available. This horizontal mobile shear can process any kind of mixed light/medium scrap metal, and also process HMS pieces by holding the material vertically on the hopper using the loading crane. The average productivity of the shears processing material under normal working condition, depending on the input material type and quality, quantity, operator ability and longest pre-set length of cut goes from 9 to 11 metric tons / hour. 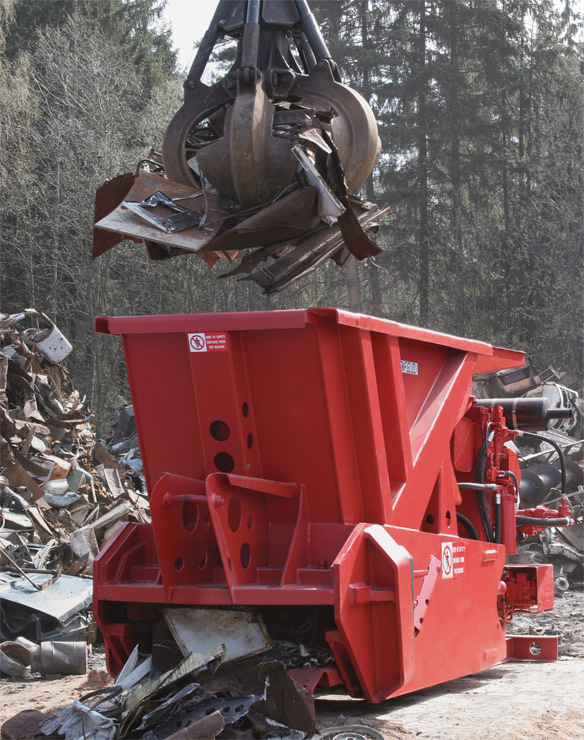 The complete shear can be easily transported using its unique roll-on/roll-off system. Other load/unload configurations are available to suit local practices. No foundation or civil works are required prior to the set-up. Minimal footprint is required. Use of hi-strength Weldox 700 and Hardox 500 steels in MOBICUT 1000’s construction allows for transport weight. This means that there is generally no need for special permits to transport. Diesel and electric power options are available on request. Although we have sold this one, we have a frequent rotation of used systems, so call us with your requirements and we’ll help you find the ideal machine!